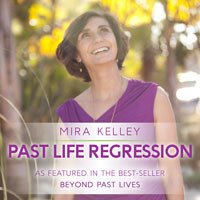 Join Mira for a 4.5 hour long past life regression workshop packed with content and exercises. You can benefit from Mira’s transformative work immediately from the comfort of your home. The workshop gives you a full regression that lasts an hour! 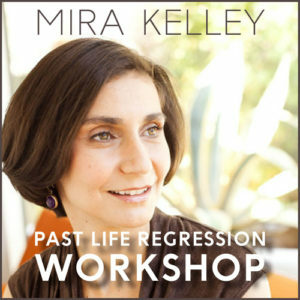 Before the regression, Mira will lead you through a powerful relaxation to release all stress and through a tapping process to release anxiety about doing a regression. These two exercises will bring you to an ideal state to explore your past lives. With humor, great compassion, wisdom and love, Mira will guide you to receive answers and healing and you will find yourself transformed. Through attending a workshop with Mira via this recording, you can explore your part lives and receive guidance and healing immediately. And you can continue to use the regression and processes offered here over and over again. Note: Once purchased, you will have immediate access to this workshop through HD video streaming over the Internet. Link to the video will be delivered to you within 24 hours. Watching the video requires Internet connection. No DVD will be delivered to you.